The distinguished American Indian photographer Lee Marmon has documented over sixty years of Laguna history: its people, customs, and cultural changes. Here more than one hundred of Marmon’s photos showcase his talents while highlighting the cohesive, adaptive, and independent character of the Laguna people. 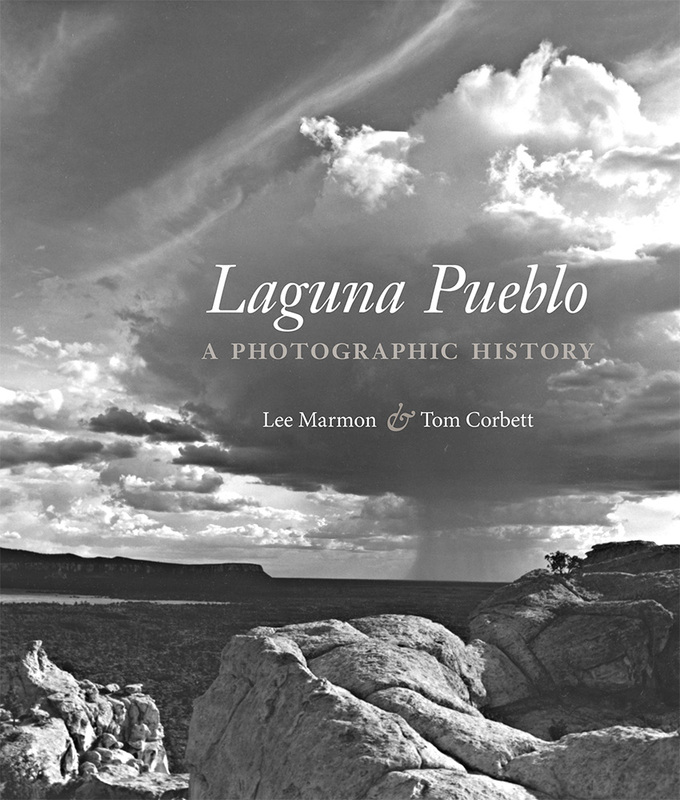 Along with Marmon’s own oral history of the tribe and his family photos dating back to 1872, Tom Corbett presents archival images and historical research, making this the most complete published history of any southwestern pueblo. Marmon and Corbett also interviewed noted tribal elders and oral historians regarding customs, religious practices, and events of the nineteenth and twentieth centuries. Lee Marmon lives in his hometown, Laguna Pueblo, New Mexico. His interest in photography grew while he was serving in the U.S. Army during World War II. After the war, while working at his father’s trading post, he photographed the main work in this collection, portraits of Laguna elders, which is now with the University of New Mexico. Tom Corbett is a physician who lived and practiced at Laguna Pueblo in the 1960s. He conceived the idea for this historical book while living among and caring for the Lagunas. It has been a work in progress since that time. He and Lee Marmon have been friends for fifty years.